My love for travel started before I was two years old, when my parents flew me from New Zealand to Chicago, the beginning of what became their 30 year adventure in the United States. Each summer, we traveled. My brother and I made a nest in the back of the station wagon and we’d motor around the vast countryside of America or we’d hop on a plane to vacation overseas, taking advantage of my father’s light summer workload to see the world. Even as a child, I took in new cultures through small details and remembered each state or country by their textures, textiles, buildings and gelato flavors. Today I see patterns everywhere I go, whether at home in Denver or in foreign curiosities. I've learned that each country reveals itself through the people’s expression of art, pattern and design. What is rendered are revered items of daily life or spiritual aspiration. Through my adventures, I’ve discovered that culture is not contained in a museum, but open to all and constantly evolving — simply walk, wander and take it in. 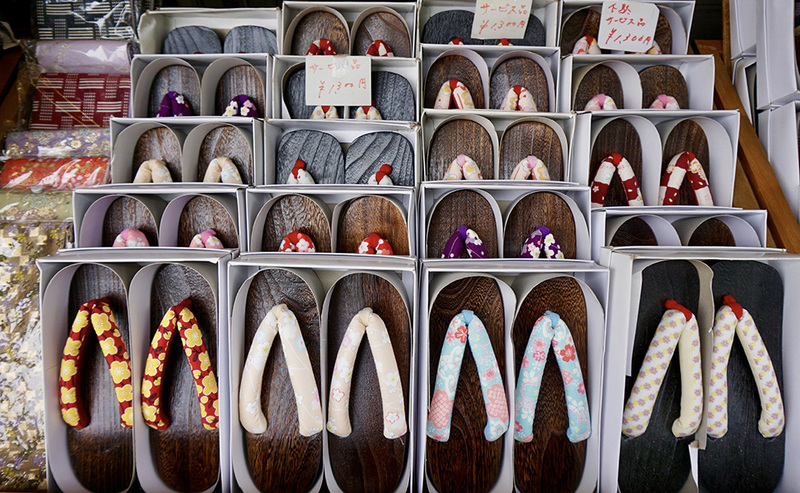 On my recent trips to Tokyo and Kyoto, I found objects rich in color and variety of pattern. 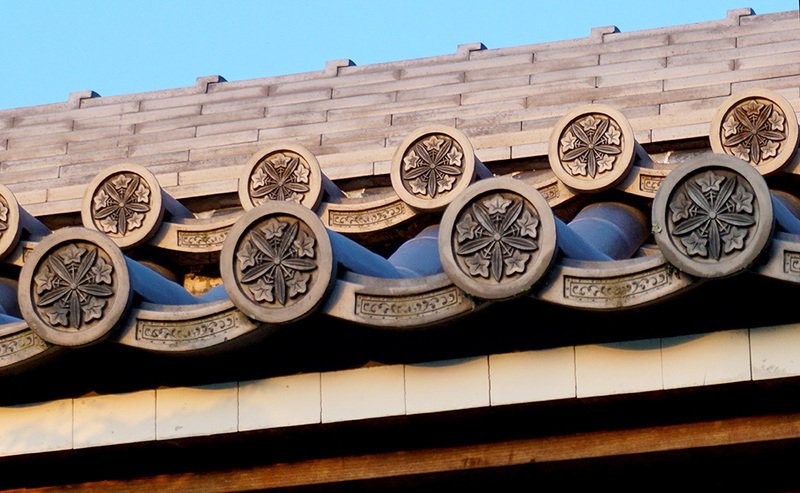 The Japanese attention to detail is highly symbolic of their respect for others and their surroundings. Their connection to the Earth and its energy is part of their spirituality and expressed via the vermilion, gold and colorful patterns on their Shinto shrines and Buddhist temples. There’s a rhythm to their spaces, creating visual patterns in three dimensions. Most of the printed patterns you find on papers and fabrics are representations of nature — flora, fauna, water and sky. Many are symbols associated with spirituality, luck, abundance and good fortune. This Kiriko clothing company article shows the most prevalent patterns, explaining their names, symbolism and origin. The Japanese mix patterns and color expertly, which is especially notable in the multiple fabrics layered in their kimonos. You also see this in their fine art. They combine patterned papers as borders or mattes on hanging paintings and within hinges and borders on painted screens. Patterns are inlaid on boxes and painted on ceramics. Their combinations of pattern scale and object shapes within them is deft and often unexpected. Most of us are familiar with origami paper collections that fan out a gorgeous mix of patterns. The variety of these origami packs in Japan is dizzying. When I visited the iconic stationery shop Itoya in Ginza, Tokyo, I spent nearly 2 hours combing through 12 floors of paper, washi tape, journals, cards, bookmarks, pens, and shaped sticky notes. My Pinterest board on Japanese Design has an array of eyecandy featuring items with innovative simplicity or intricate decoration — all with a deliberately delicate touch. Harmony and beauty come from this knack for balance. A quality I love about the Japanese people is their utmost respect for one another and their surroundings. You’d be hard pressed to encounter brash personalities or see careless littering. At the end of a rainy day, Tokyo’s subway train floor was shiny and spotless. The city’s manhole covers are famously shared on Instagram. Consumerism is high and space is precious, yet patience and civility underpin the culture. As the world capital of cute, with a love of animal ears on everything and hats on cats, I surmise that people strive to find small joys in many places or moments, especially in Tokyo, one of the world’s most densely populated cities. I’ll have to explore the country more to test that theory. 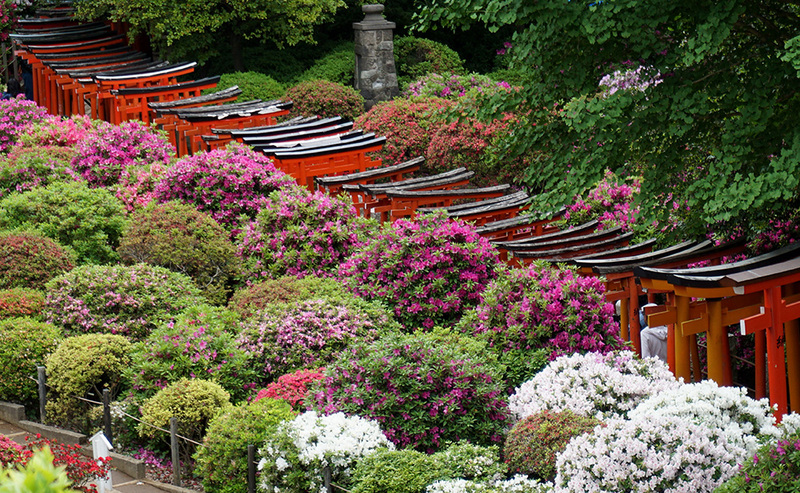 Until then, enjoy these 20 photos + 20 haikus expressing my impressions of Japan (3 minute video). Arigato.